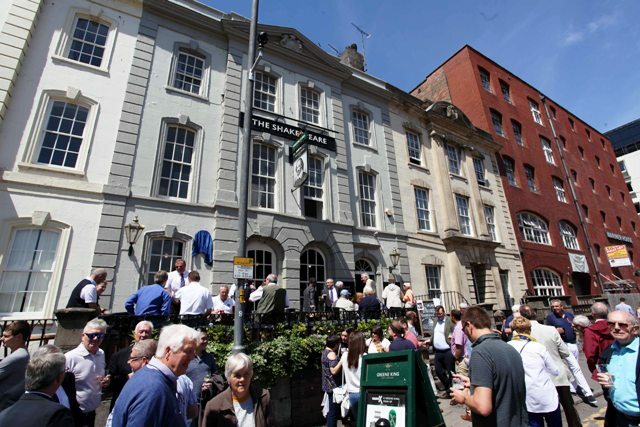 A blue plaque has been unveiled on the Shakespeare public house in Prince Street, close by the quays. It embellishes a handsome rank of grade II*-listed houses of 1725; the middle one was converted to a pub around fifty years later. 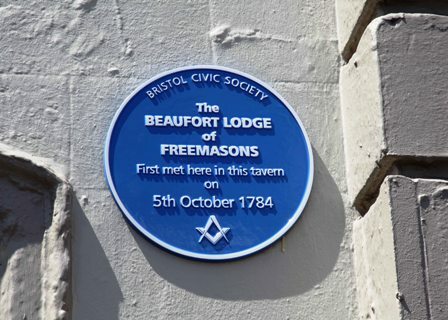 And it was in 1784 that the Shakespeare Inn held a meeting of the Beaufort Lodge of Freemasons. John Hopkins, the husband of landlady Hannah, was a freemason. So, certainly worthy of a blue plaque. 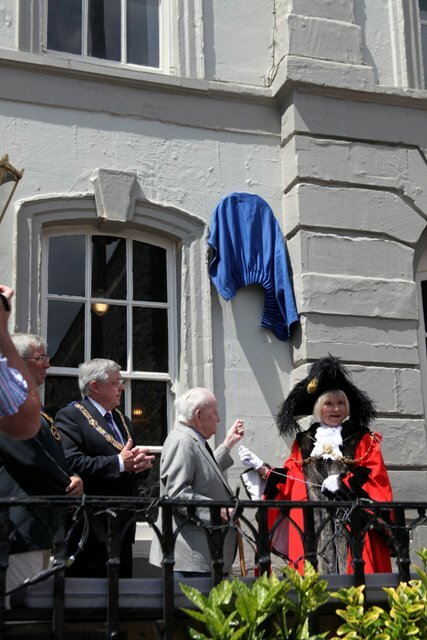 One honouring the Beaufort Lodge was unveiled on 1st July 2017. 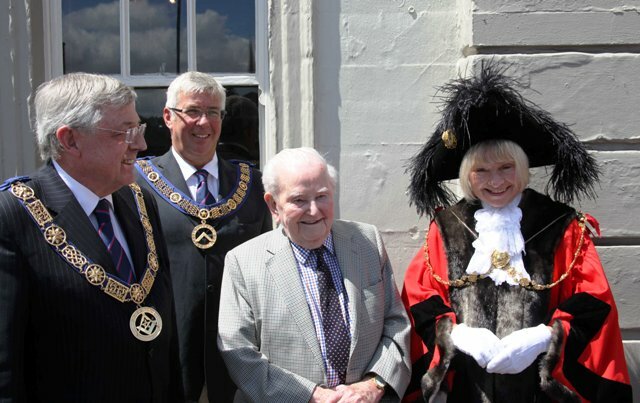 Left to right: Provincial Grand Master Alan Vaughan, Deputy Provincial Grand Master Joe Davis, the Beaufort Lodge’s oldest Mason and Rt Honourable Lord Mayor Councillor Lesley Alexander.